Formerly referred to as mobile homes, modern manufactured homes have many more options than in past years when the original mobile homes which were constructed in a factory and brought to locations for the GIs returning home from World War II. Manufactured homes of today are still built in a factory, but these are now high tech completely climate controlled environments, and today’s Manufactured Homes are built as well as conventional stick-built homes. They can range in size from as little as 640 to 2640 square feet and more. They are available in non, partial, or full finished drywall with a full range of exterior, interior, window flooring and appliance options. Even Cathedral ceilings, gourmet kitchens and elegant baths can be built. Two stories are available for those long, skinny lots by the beach or tree filled lots in the mountains. Manufactured homes conform to the U.S. government’s Manufactured Home Construction and Safety Standards, otherwise known as HUD code. The HUD code requires manufactured homes to be built on a steel chassis, which is non-removable. They are transported to the building site on their own wheels, in one or two sections depending on the width of the home, and joined by construction professionals. They can be placed on a permanent foundation if desired. Manufactured homes are typically built for Mobile Home Parks – but can be also placed on private property. 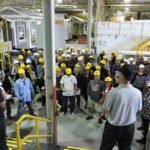 What sets a USModular manufactured homes apart from other home dealers? 2nd generation Manufactured Home builder with over 70 combined years of experience of building design experience producing top quality products at discounted prices. Personalized service from trained manufactured home representatives who will respond to your inquiry, discuss your needs, and price a manufactured home to your specifications. Our manufactured homes are built in a controlled factory environment protected from rain, sleet, snow. Efficient scheduling and delivery of manufactured homes to reduce delivery costs and building delays to save you money. Our manufactured homes and modular homes are 100% made in the USA using only the highest grade home building materials to ensure the best quality and workmanship available. USModular works with top engineers, designers and factories to ensure your Manufactured Home meets yours and our standards of excellence at a fair price. 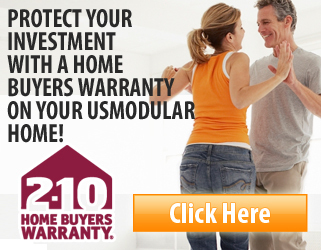 to Learn More About Where to Build Your New Manufactured Home!